Have you suffered from the symptoms of Cyclospora within the last three years on a package holiday? Let the legal experts at Holiday Illness Claims help you claim the compensation that is rightfully yours. With our help, you could receive anything between £770 – £43,890 in a successful no win no fee settlement. To see what your claim is worth, call 0800 01 54321 now. What is Cyclospora and how is it spread? 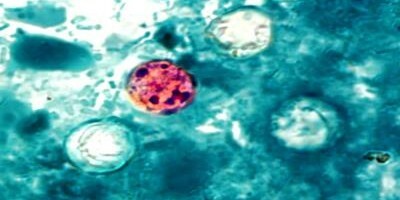 Cyclospora cayetanensis is a protozoan parasite that causes illness symptoms including watery diarrhoea, stomach cramps, loss of appetite and nausea. Spread through the ingestion of contaminated water or food, particularly unwashed berries and salad items, Cyclospora symptoms can last anything from a few days to a month with relapses said to be common. If you are suffering from, or have suffered from, the symptoms of Cyclospora we would always advise that you seek medical attention straight away. Cyclospora is most common in holiday destinations such as Mexico, Turkey and the Caribbean. Holidaymakers are most likely to suffer from a Cyclospora infection in package holiday hotels where poor hygiene and sanitation exist. Outbreaks of Cyclospora have been reported in the Riviera Maya region of Mexico for 2 consecutive years. Could you make a Cyclospora holiday illness claim? As long as your stay was within the last three years and was booked as a package, the Package Travel Regulations 1992 make provisions for you to bring a claim against your tour operator if your holiday illness was the result of hygiene failings on their behalf. This means that you can pursue a cyclospora claim from right here in the UK. At Holiday Illness Claims our only aim is to ensure that you receive the compensation you deserve following illness abroad. We are currently helping a number of UK holidaymakers make no win no fee Cyclospora claims. Our no win no fee policy means that you can bring a holiday illness compensation claim against your tour operator and rest assured that you will never be left out of pocket no matter what the outcome of your case is. To find out if you can make a no win no fee Cyclospora claim, contact our dedicated holiday illness team on 0800 01 54321 now. Alternatively, complete the online contact form and a claims specialist will be in touch shortly.